Three years ago, my husband and I were honeymooning in Thailand. 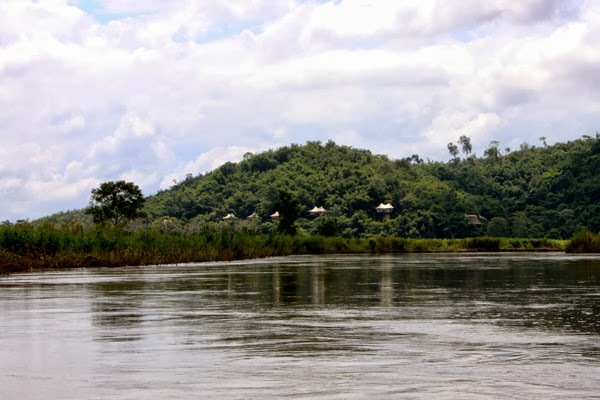 The highlight of the trip was our time at the Four Seasons Tented Camp Golden Triangle, a magical place at the edge of Thailand, Laos, and Myanmar where a handful of hillside tents are nestled in a bamboo forest. 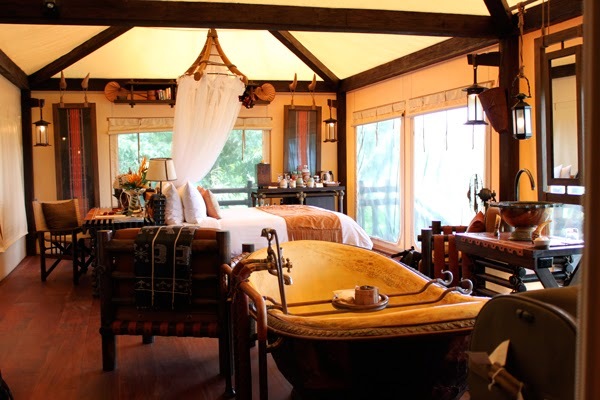 Some people have called it glamping, but that word still has part of camping in it, and when your tent has a footed bathtub filled with fresh rose petals you can’t really make the comparison. 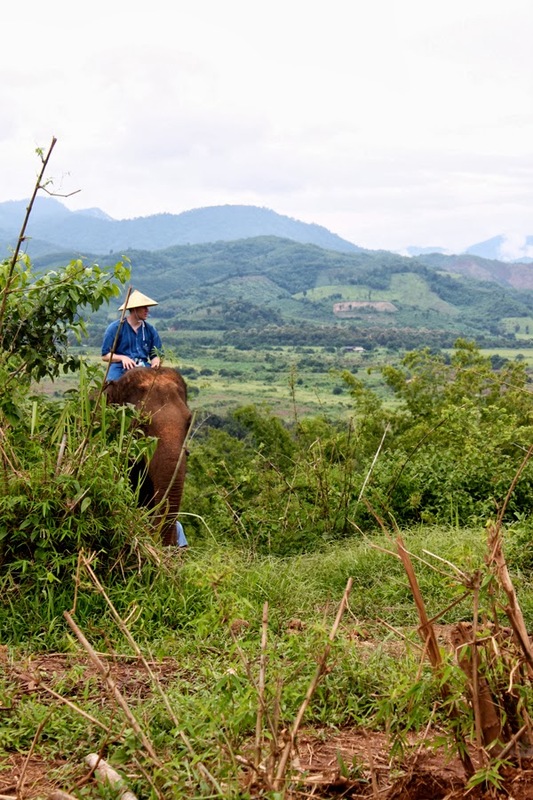 At this remote, romantic retreat—accessible only by boat—elephants joined us at breakfast and took us on treks through the misty jungle, the kindest people we ever met showed us the region’s most sacred spots, and every night, the sound of rain against our tent lulled us into the deepest, most beautiful sleep. Upon our arrival, we were greeted with a sweet, refreshing beverage made from lemongrass. Our guide called it the welcome drink, and we soon noticed its distinct flavor popping up in just about every farm-to-table meal we enjoyed at the camp. 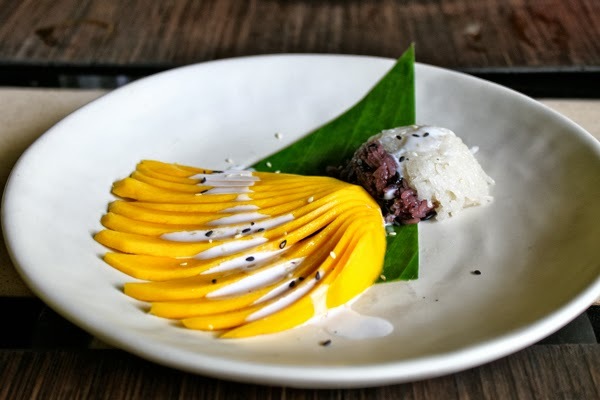 More so than pad Thai or even mango and sticky rice, for us, lemongrass became the taste of Thailand. Since we still dream about those first sips of lemongrass, I reached out to the camp to ask if they’d share the recipe. True to form, the kind culinary team responded immediately, excited to share their signature drink and wishing us a happy anniversary. 1. 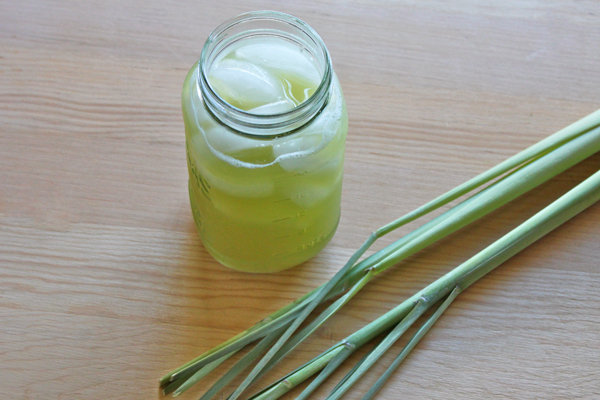 Blend the lemongrass leaves and water in a blender. 2. Strain to get infusion liquid only. 3. Stir in honey to taste. 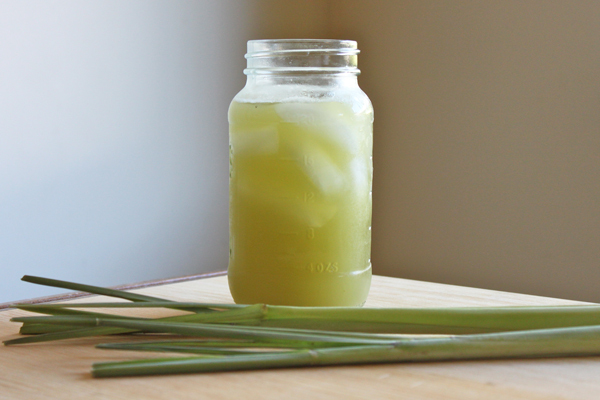 I found fresh lemongrass stalks in the produce section at Whole Foods and already had honey on hand, making it a breeze to recreate this exotic beverage at home. Even though we didn’t have the camp’s hand-carved bamboo cups or view of the Mekong River, one sip instantly took us back to Thailand. 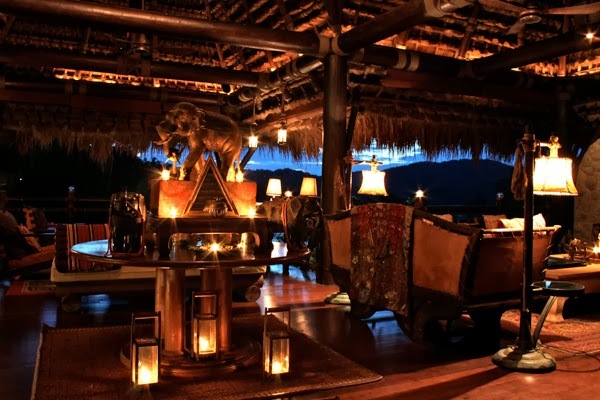 If you have yet to venture in that direction, I cannot recommend the Tented Camp enough. In the meantime, you can get a taste of this special place in a matter of minutes. 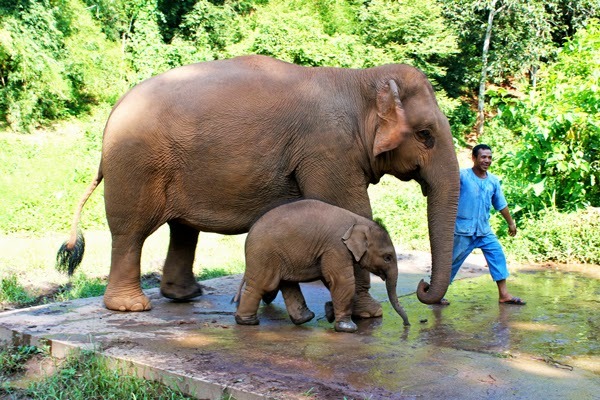 Here are some pictures from the camp, including my husband’s favorite part of the entire honeymoon, which happened while elephant trekking. 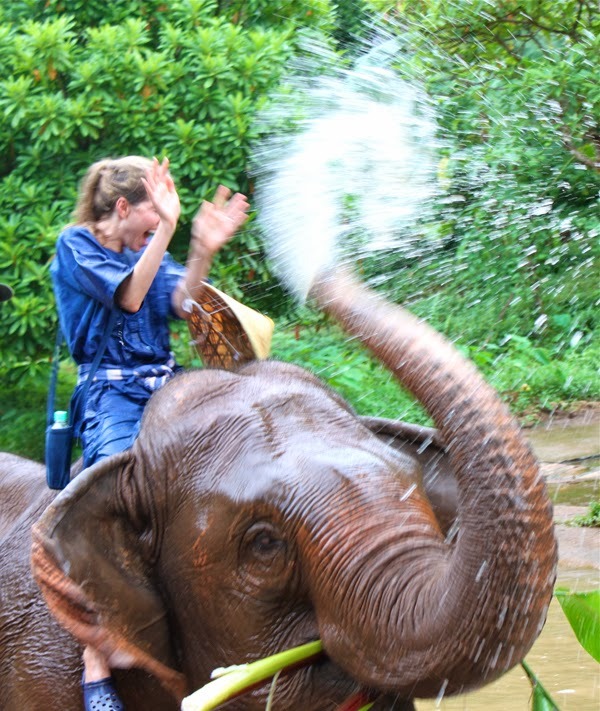 Spoiler alert: Not only did we ride elephants, we also bathed them—or in my case, it was the other way around. I live these pictures! 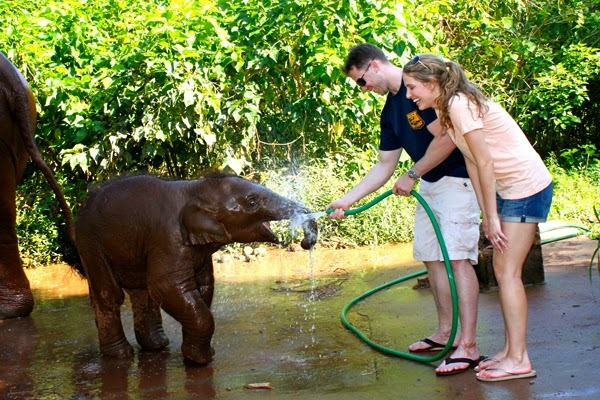 And I'll be In the baby elephant fan club too! I love this post! and you have a very lovely blog.